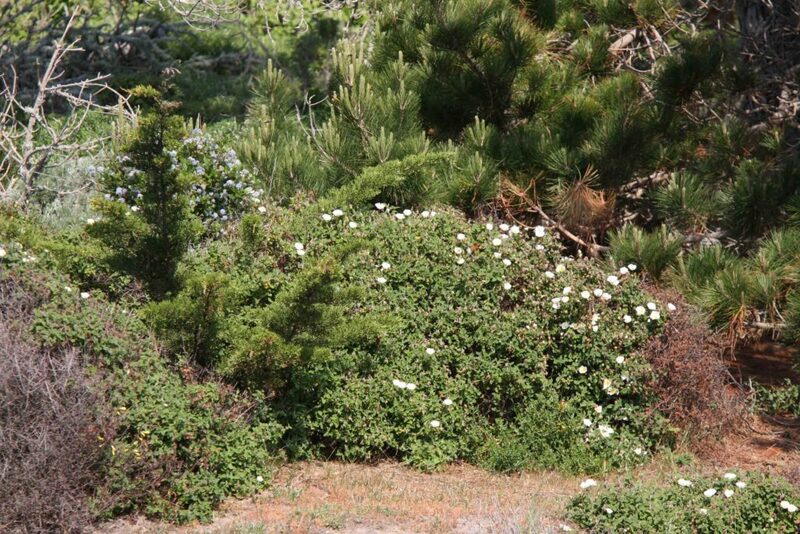 Commonly cultivated and occasionally escaping and naturalizing. 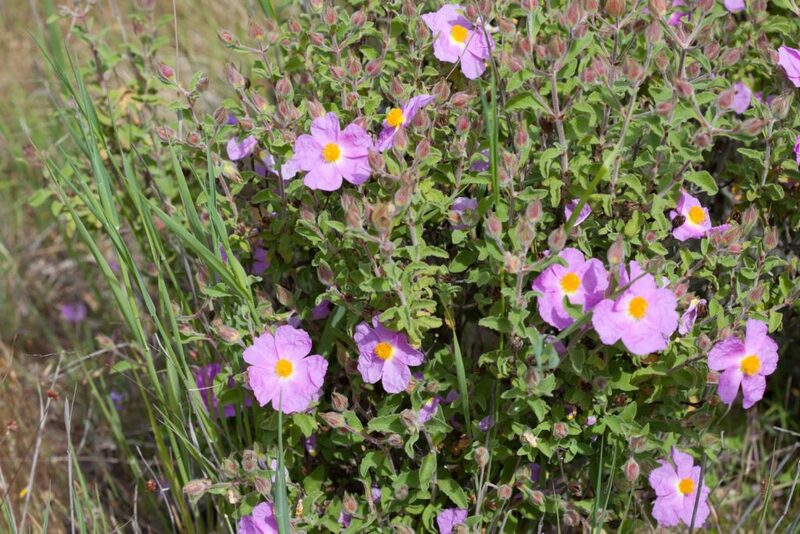 This cistus, like other members of its family are drought-tolerant and like open, sunny positions. 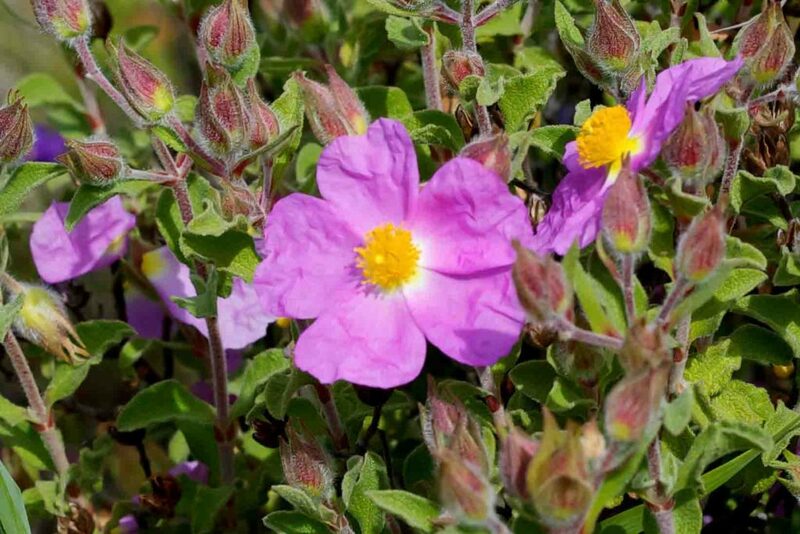 It produces a profusion of short-lived, bright pink flowers with large, more or less wrinkled petals and many yellow stamens. Leaves are somewhat sage-like (though without the distinctive sage aroma), not sessile and have one prominent vein from the base. 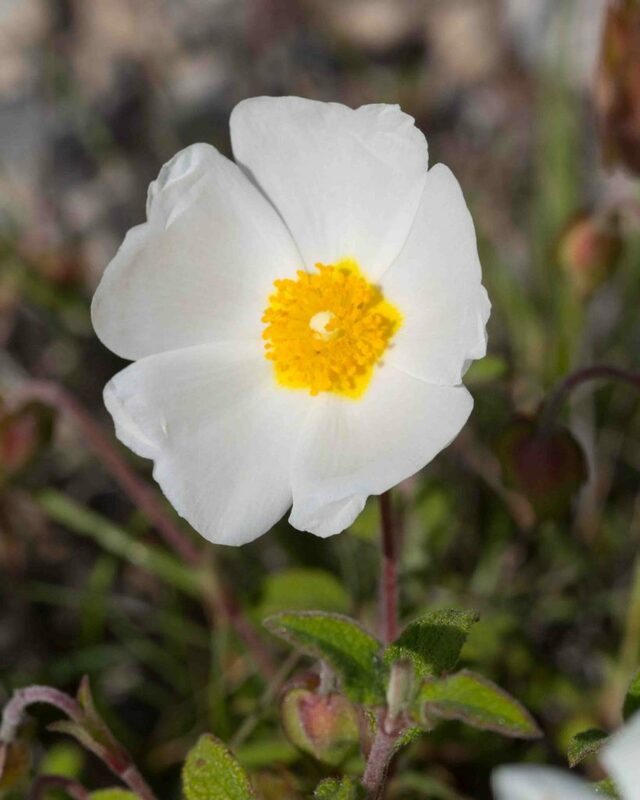 Each stem has 1–4 pure white flowers, sometimes with yellow near the base of the petals. Many yellow stamens. Leaves are sage-like, 1–4 cm, ovate to elliptic with the upper surface wrinkled. 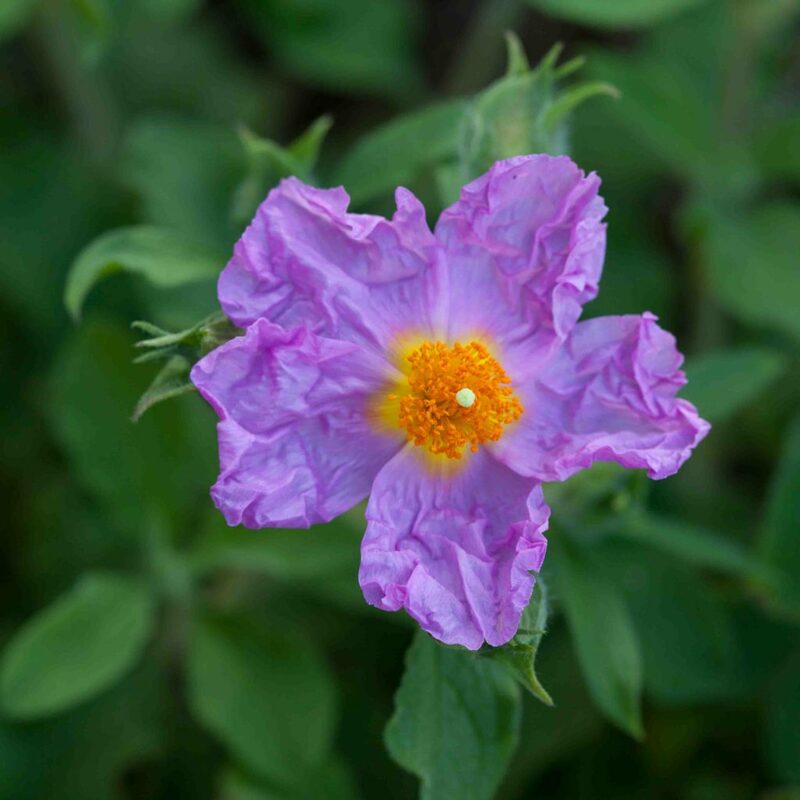 Montepelier Rock-rase (Cistus monspeliensis) is similar but with more flowers per stem (1–11) and leaves that are linear to lance-linear in shape and much longer (15–60 cm). The only native among the plants on this page. 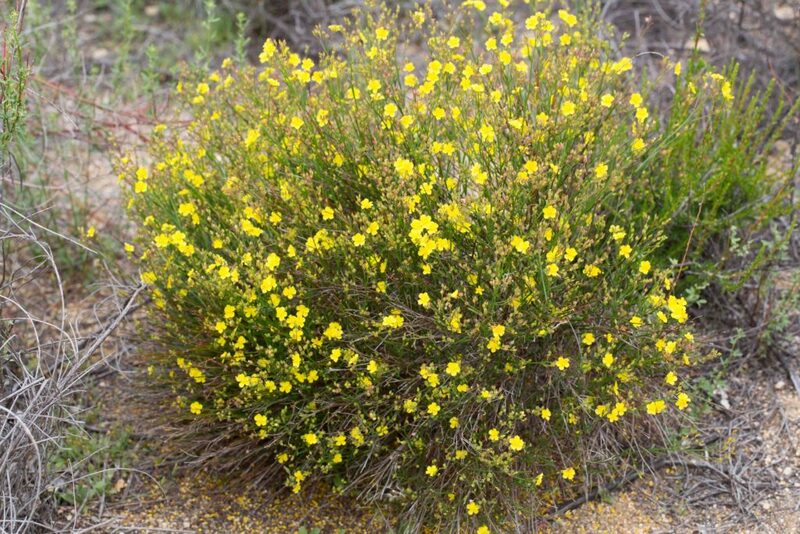 It is a bushy, low, spreading plant with many beautiful, bright yellow flowers, about 1 cm across with 5–many stamens. 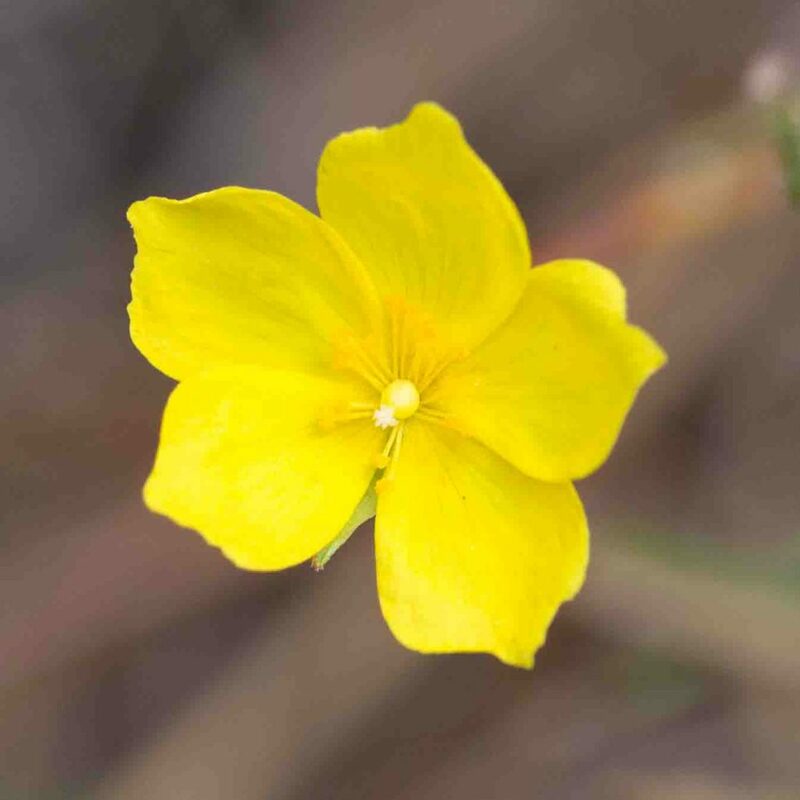 In this genus 2 of the 5 sepals are narrower than the others. 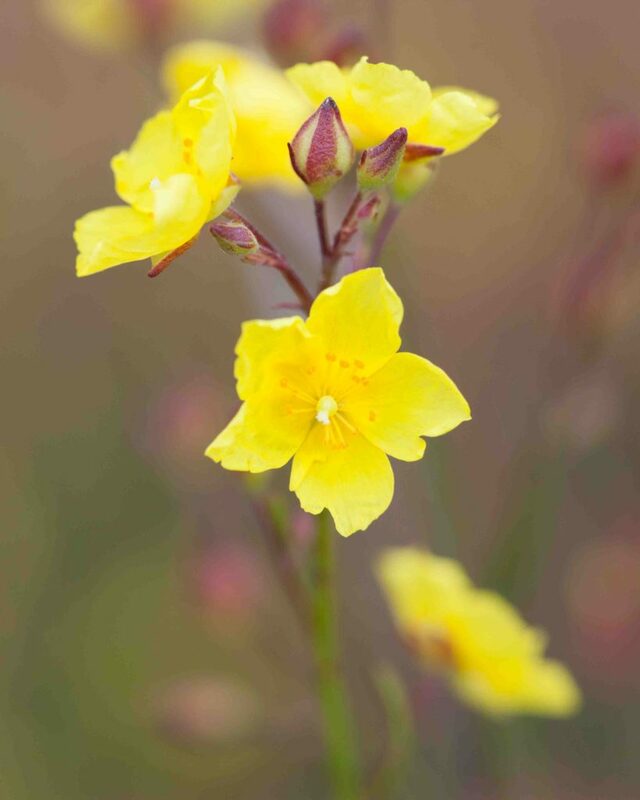 In this species the 2 outer sepals are linear and the 3 inner wide and pointed. 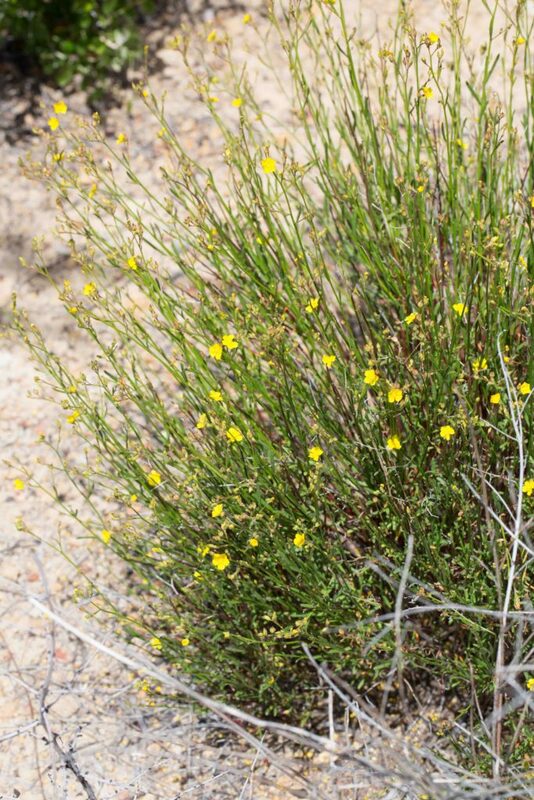 Stems are slender and rush-like but all bear small, linear to narrowly lanceolate leaves. There is another variety (var. vulgare) which is very similar but taller (30–45 cm) with more flowers per stem (4–18) and longer outer sepals. 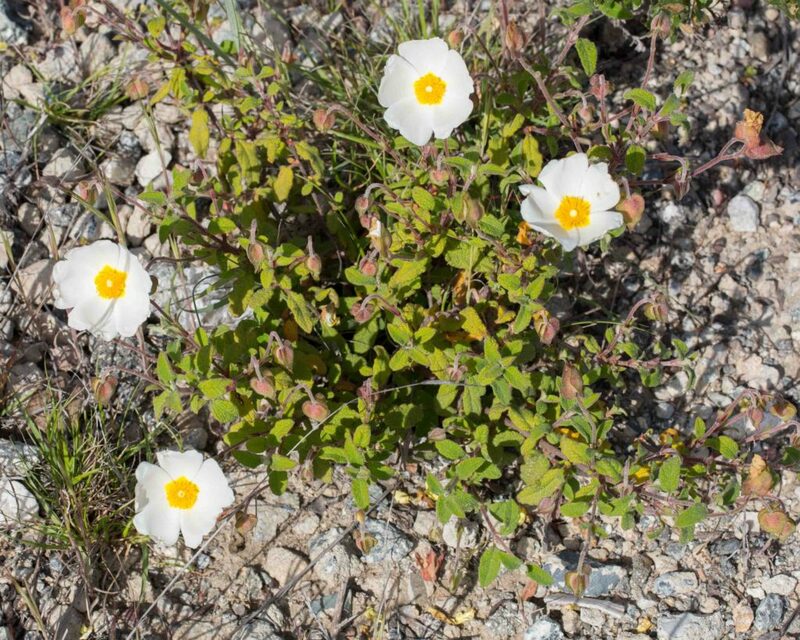 It is found at higher elevations (50–1200 m).